We are proud to announce that our home town of Wabash, Indiana, has been selected as the 2016 winner of the Small Business Revolution on Main Street Contest. The Charley Creek Inn invites you to help us celebrate this event with our special packages listed below. You’ll check in with sparkling wine and chocolate-covered strawberries before retiring to your elegant Superior Room. Enjoy a complimentary dessert, breakfast for two, a wine tasting and cheese board. You’ll also receive a keepsake Small Business Revolution gift. Bring your BFFs for this one, as this package features a deluxe suite for four to six guests! You’ll be served our signature cheese and chocolate tray upon arrival and enjoy private shopping for your party at Bash. Breakfast at Twenty and a glass of wine or beer in our Green Hat Lounge is also included. 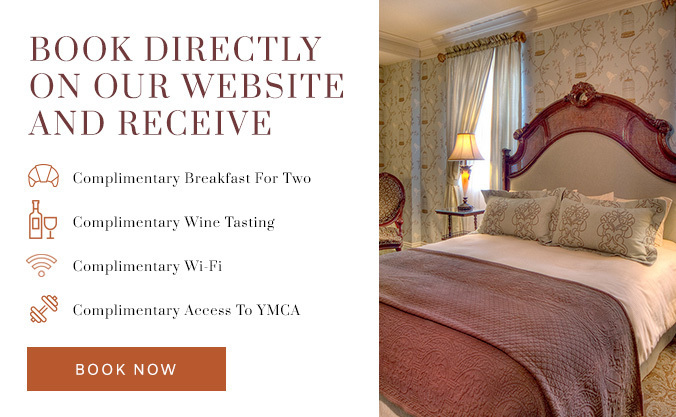 Check into your deluxe guest room in our beautifully restored, historic building, and we’ll treat you to breakfast for two at Twenty. 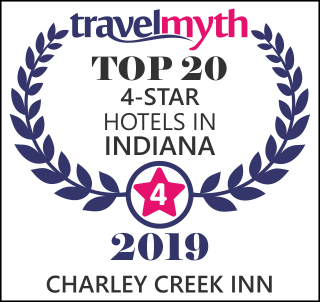 Book your reservations by calling us at (260) 563-0111, or visit us at: http://www.charleycreekinn.com/.